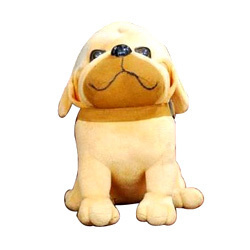 In order to cater to the varied demand of market, we are engaged in manufacturing and supplying best grade Dog Soft Toy. Patrons widely appreciate the offered soft toys as these are made by utilizing imported fur and filled inside with best grade fiber, sourced from the most trusted vendors. 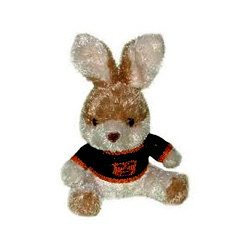 Our wide array of Rabbit Soft Toy are manufactured of premium quality fur that are procured from the best available vendors in the industry. These products are tested through various levels of production as per the international standards before they are delivered to our respected client base. These products have a cuddly and soft feel with attractive colors. 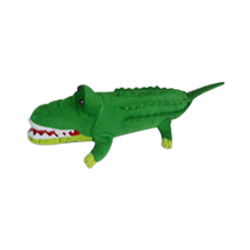 We also have a range of educational toys and Crocodile Animal Toy is a major highlight in that range. Made of high quality raw materials that have been purchased from the best vendors in the market these products have been designed keeping in mind our target audience. Exhibiting vibrant and bright colors, these products have a soft and plush feel. We have tested these product for quality as per the international standards. 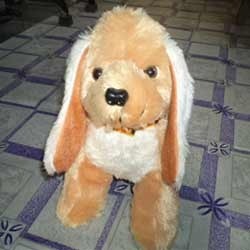 We are also engaged in the manufacturing of Dog Toys that are very popular with the kids of any age group. Our team of skilled and trained artisans have crafted these products with precision to provide them with better quality. Made of high quality materials these products have very colorful designs. Keeping in the mind our target audience we have tested these products as per the international standards of quality. These products can also be customized as per the needs and requirements of the clients. Looking for Animal Soft Toy ?